Selection Process : The mode of selection is through an All India Online Competitive Examination on 25/09/2016. 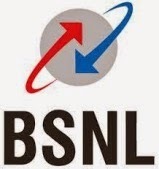 How to Apply : Apply Online at BSNL website from 10/07/2016 to 10/08/2016 only. Please visit http://externalexam.bsnl.co.in for detailed document and online submission of application.